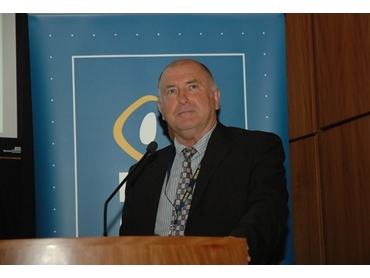 According to Rob Wilson, Leader of CRC for High Integrity Australian Pork (Pork CRC ) - ‘Carbon conscious nutrient inputs and outputs’ Program, biogas energy suits the Australian pork industry because pork manure offers a high yield of biogas. Biogas is being used at Australian piggeries for direct heating via hot water, or for combined heat and power, with on-site use and/or grid export of excess power. About 8% of Australia’s national pork production is harvesting biogas, with a further 2% under construction and 10% in various stages of planning and development. More than 30% is likely to be using biogas energy by 2020. According to Dr Wilson, the most popular biogas systems have been unheated conventional covered lagoons, because of their relatively low cost, simplicity and low operator input requirements. To drive biogas uptake at Australian and New Zealand piggeries, Pork CRC funds the Bioenergy Support Program (BSP), led by Dr Stephan Tait at the Advanced Water Management Centre, University of Queensland. The BSP promotes biogas energy, supports pork producers with site-based biogas feasibility assessments, provides technical information and resources to streamline adoption based on case study data from demonstration sites, and identifies and promotes targeted research to further benefit the pork industry. Adoption of biogas has been shown to be economically feasible at many sites, with a significant positive return on investment over 10 years. Dr Wilson said that life cycle assessments of Australian pork supply chains suggested the majority of greenhouse gas emissions for production are methane emissions from effluent treatment and capturing and using biogas on-site could reduce on-farm emissions by as much as 60-80%. These figures suggest the industry goal of on-farm emissions of around 1kg Co2-eq per kg pork produced is achievable and that the Australian pork industry has the potential to have the lowest global warming potential of pork production worldwide.